For smooth and radiant skin give yourself a gentle facial and body scrub with Arm & Hammer baking soda. Paste of three parts baking soda to one part water rock and a gentle circular motion to exfoliate skin and remove dead skin cells be careful and avoid your eyes. Rinse clean with Warmwater to leave skin feeling nourished and refreshed. • Make a paste of three-part baking soda to one part water. Rub in a gentle, circular motion over hands and fingers. Please clean with warm water, buff nails and apply polish if desired. • Blend 2 tablespoons of baking soda in a basin of warm water. After a nice soak make a scrub using three parts baking soda and one part water. Follow with an application of a rich moisturizer and warm towel foot wrap. Let sit for 5 to 10 minutes. Feet will feel smooth and clean. Buff nails and apply polish, if desired. • I'm sure lots of you heard Armand Hammer baking soda can also be a natural deodorant. All you have to do is apply baking soda under your arms as needed to feel fresh all day. The magic of baking soda neutralizes acid and bases, which is how it deodorizes and removes odors instead of just covering them up. • For gleaming smiles, brush teeth with baking soda. Just sprinkle baking soda into your palm, dip a damp toothbrush into it, and brush. For a refreshing mouthwash use 1 teaspoon baking soda in half glass of water. Swish the solution through your teeth, spit and rinse. • Get rid of product buildup by sprinkling a small amount (quarter-size) of baking soda into your palm along with your favorite shampoo. Shampoo as usual and rinse thoroughly. Baking soda helps remove the residue that styling products leave behind so your hair is cleaner and more manageable. •For lustrous hair with more shine, keep brushes and combs clean. Remove neutral oil build-up and hair product residue by soaking combs and brushes in a solution of 1 teaspoon of baking soda in a small basin of warm water. Rinse and allow to dry. •Men with sensitive skin may find that a solution of 1 tablespoon of baking soda in one cup of water makes a great pre-shave treatment or a soothing aftershave treatment. For instant razor burn release, dab on a baking soda solution. Be careful to avoid the eye area. 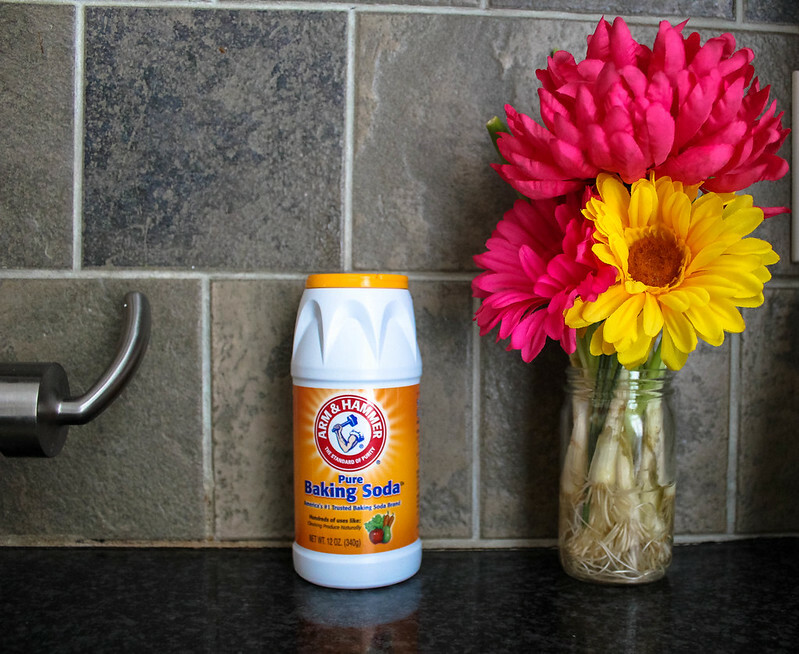 Baking soda is a mild abrasive so it's safe and gentle enough for everyday use. I hope you guys found this article useful. Let me know how you use Arm & Hammer baking soda?